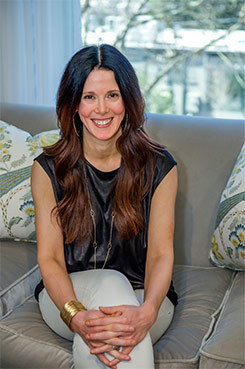 Stacy Pignetti is an interior designer, based in Atlanta, Georgia, with experience and background that offer over 20 years of outstanding commercial and residential design, as well as project management. After graduating from the University of Alabama, with a B.S. in Interior Design, she was able to work under the very best designers and architects along the East Coast, before establishing Stacy Pignetti Design in 2012. Whether you are designing or remodeling an entire home or a single space or room, Stacy Pignetti Design provides complete space planning, along with consultation for product selection, project management and interior finishing. Stacy is known for combining classic design and the latest trends to achieve a warm, inviting and elegant space. No detail is left behind. Working closely with her clients, a personalized…and unique…plan is created. The consistent result is a living space that incorporates, maintains and enhances the client’s taste, as well as lifestyle, creating a comfortable and timeless environment. Call today to start talking about your next project! I discovered my passion for interior design – along with architecture, food, and fashion – in my early 20s while going to school in France. After a marketing career in the tech industry, several home renovation projects led to my house being featured in a magazine. That little bit of recognition gave me the courage to consider interior design as a new career. So, after too many years in the corporate arena, I decided to make a change and do what I love: helping friends and clients create beautiful, stylish and inspired interiors.